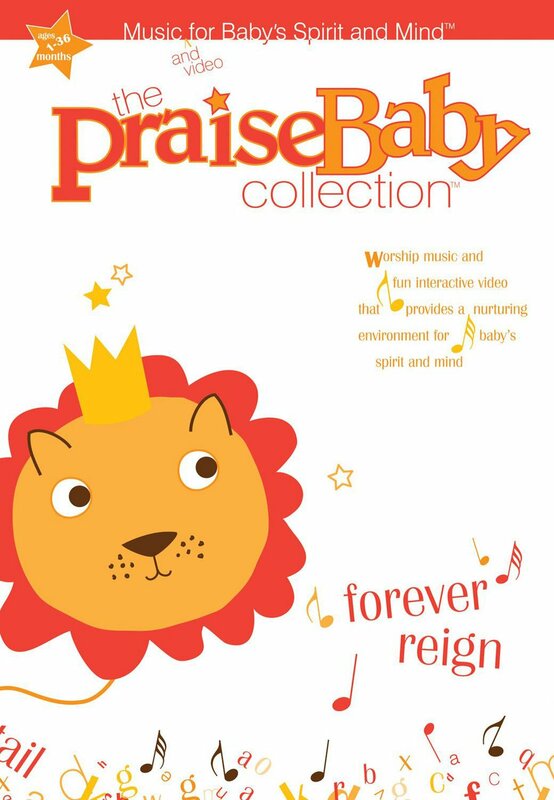 Forever Reign the brand new DVD from bestselling children's series Praise Baby. Combining popular praise and worship songs with images of children enjoying God's creation with real world images and animation. This series has been designed to engage your baby's mind and spirit featuring 10 tracks. 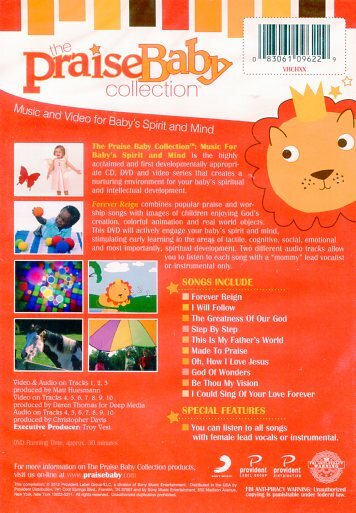 Praise Baby: Forever Reign DVD by Praise Baby Collection was published by Authentic in November 2012 and is our 541st best seller. The ISBN for Praise Baby: Forever Reign DVD is 083061096229. Be the first to review Praise Baby: Forever Reign DVD! Got a question? No problem! Just click here to ask us about Praise Baby: Forever Reign DVD. Is this dvd playable on UK players? Which region does it list, please?